Gjirokastër ([ɟiɾokastəɾ]) is a historical city in southern Albania. It is situated in a valley between the Gjerë mountains and the Drin, at 300 metres above sea level. Its old town is a UNESCO World Heritage Site described as "a rare example of a well-preserved Ottoman town, built by farmers of large estate". The city is overlooked by Gjirokastër Fortress, where the Gjirokastër National Folklore Festival is held every five years. It is the birthplace of former Albanian communist leader Enver Hoxha and notable writer Ismail Kadare. The city appears in the historical record dating back in 1336 by its Greek name, Argyrokastro, as part of the Byzantine Empire. It became part of the Orthodox Christian doecese of Dryinoupolis and Argyrokastro after the destruction of nearby Adrianoupolis. Gjirokastër later became the center of the principality ruled by John Zenevisi (1373–1417) before falling under Ottoman rule for the next five centuries. Throughout the Ottoman era Gjirokastër was officially known in Ottoman Turkish as Ergiri and also Ergiri Kasrı. During the Ottoman period conversions to Islam and an influx of Muslim converts from the surrounding countryside made Gjirokastër go from being an overwhelmingly Christian city in the 16th century into one with a large Muslim population by the early 19th century. Gjirokastër also became a major religious centre for Bektashi Sufism. Taken by the Hellenic Army during the Balkan Wars of 1912–3 on account of its large Greek population, it was eventually incorporated into the newly independent state of Albania in 1913. This proved highly unpopular with the local Greek population, who rebelled; after several months of guerrilla warfare, the short-lived Autonomous Republic of Northern Epirus was established in 1914 with Gjirokastër as its capital. It was definitively awarded to Albania in 1921. In more recent years, the city witnessed anti-government protests that lead to the Albanian civil war of 1997. The city appeared for the first time in historical records under its medieval Greek name of Argyrocastron (Greek: Αργυρόκαστρον), as mentioned by John VI Kantakouzenos in 1336. The name comes from the Medieval Greek ἀργυρόν (argyron), meaning "silver", and κάστρον (kastron), from the Latin castrum meaning "castle" or "fortress", thus "silver castle". Byzantine chronicles also used the similar name Argyropolyhni, meaning silvertown (Greek: Αργυροπολύχνη). The theory that the city took the name of the Princess Argjiro, a legendary figure about whom 19th century author Kostas Krystallis wrote a short novel and Ismail Kadare wrote a poem in the 1960s. It is considered a folk etymology, since the princess is said to have lived later, in the 15th century. Archaeological evidence points out, that during the Bronze Age the region was inhabited by populations that probably spoke a northwestern Greek dialect. Archaeologists have found pottery objects of the early Iron Age in Gjirokastër, which first appeared in the late Bronze Age in Pazhok, Elbasan County, and are found throughout Albania. The earliest recorded inhabitants of the area around Gjirokastër were the Greek tribe of the Chaonians. The city was part of the Despotate of Epirus and was first mentioned by the name Argyrokastro by John VI Kantakouzenos in 1336. The first mention of Albanian nomadic groups occurred in the early 14th century, where they were searching for new pasture lands and ravaging settlements in the region. These Albanians had entered the region and took advantage of the situation after the Black death had decimated the local Epirote population. During 1386–1418 it became the capital of the Principality of Gjirokastër of John Zenevisi. In 1417 it became part of the Ottoman Empire and in 1419 it became the county town of the Sanjak of Albania. During the Albanian Revolt of 1432–36 it was besieged by forces under Thopia Zenevisi, but the rebels were defeated by Ottoman troops led by Turahan Bey In 1570s local nobles Manthos Papagiannis and Panos Kestolikos, discussed as Greek representative of enslaved Greece and Albania with the head of the Holy League, John of Austria and various other European rulers, the possibility of an anti-Ottoman armed struggle, but this initiative was fruitless. In 1811, Gjirokastër became part of the Pashalik of Yanina, then led by the Albanian-born Ali Pasha of Ioannina and was transformed into a semi-autonomous fiefdom in the southwestern Balkans until his death in 1822. After the fall of the pashalik in 1868, the city was the capital of the sanjak of Ergiri. On 23 July 1880, southern Albanian committees of the League of Prizren held a congress in the city, in which was decided that if Albanian-populated areas of the Ottoman Empire were ceded to neighbouring countries, they would revolt. During the Albanian National Awakening (1831–1912), the city was a major centre of the movement, and some groups in the city were reported to carry portraits of Skanderbeg, the national hero of the Albanians during this period. Gjirokastër from the middle of the nineteenth century also prominently contributed to the wider Ottoman Empire through individuals that served as Kadıs (civil servants) and was an important centre of Islamic culture. The Albanian population of Gjirokastër during the late 19th century was split between two groups: the urban liberals who wanted to cooperate with the Greeks and Albanian nationalists who formed guerilla bands operating in the countryside. During the 19th and early 20th century, Albanian speaking Muslims were the majority population of Gjirokastër, while only a few Greek-speaking families lived there. In April 1939, Gjirokastër was occupied by Italy following the Italian invasion of Albania. In December 8, 1940, during the Greco-Italian War, the Hellenic Army entered the city and stayed for a five-month period before capitulating to Nazi Germany in April 1941 and returning the city to Italian command. After the capitulation of Italy in the Armistice of Cassibile in September 1943, the city was taken by German forces and eventually returned to Albanian control in 1944. The town has 43,000 inhabitants. Gjirokastër is home to an ethnic Greek community that according to one source numbered about 4000 in 1989, although Greek spokesmen have claimed that up to 34% of the town is Greek. 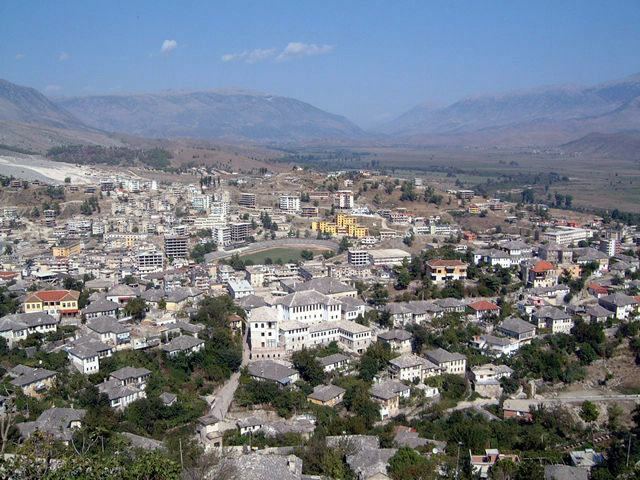 Gjirokastër is considered the center of the Greek community in Albania. Given the large Greek population in the town and surrounding area, there is a Greek consulate in the town. 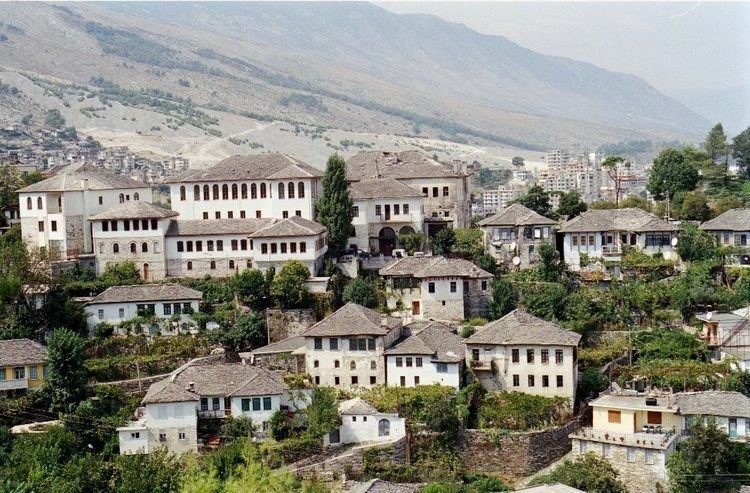 In fieldwork undertaken by Greek scholar Leonidas Kallivretakis in the area during 1992, the district of Gjirokastër had 66.000 inhabitants of which 40% were Greeks, 12% Vlachs and an Orthodox Albanian population of 21%. These communities are Orthodox and collectively made up 63% of the district's Christian population. While 28% were Muslim Albanians. Overall the Greek community was the most numerous ethno-religious group (40%), while Albanians, irrespective of religious background, in 1992 were a plurality and collectively consisted 49% of the district's total population. Within Gjirokastër district, Greeks populate all the settlements of both former municipalities of Dropull i Sipërm and Dropull i Poshtëm and also all settlements of Pogon municipality (except the village of Selckë). Gjirokastër has a mixed population consisting of Muslim Albanians, Greeks and an Orthodox Albanian population while the city in 1992 had an overall Albanian majority. The first school in the city, a Greek language school, was erected in the city in 1663. It was sponsored by local merchants and functioned under the supervision of the local bishop. In 1821, when the Greek War of Independence broke out, it was destroyed, but it was reopened in 1830. 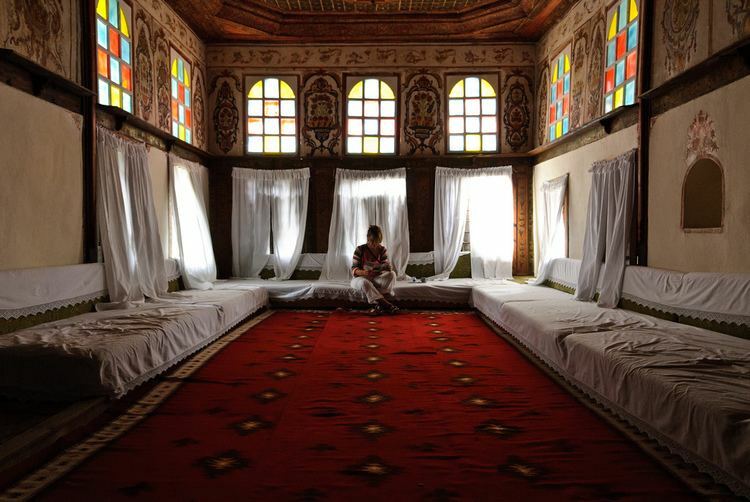 In 1727 a madrasa started to function in the city, and it worked uninterruptedly for 240 years until 1967, when it was closed due to the Cultural Revolution applied in communist Albania. In 1861–1862 a Greek language school for girls was founded, financially supported by the local Greek benefactor Christakis Zografos. The first Albanian school in Gjirokastër was opened in 1886. Today Gjirokastër has seven grammar schools, two general high schools (of which one is the Gjirokastër Gymnasium), and two professional ones. The city is home to the Eqrem Çabej University, which opened its doors in 1968. The university has recently been experiencing low enrollments, and as a result the departments of Physics, Mathematics, Biochemistry, and Kindergarten Education did not function during the 2008–2009 academic year. In 2006, the establishment of a second university in Gjirokastër, a Greek-language one, was agreed upon after discussions between the Albanian and Greek governments. The program had an attendance of 35 students as of 2010, but was abruptly suspended when the University of Ioannina in Greece refused to provide teachers for the 2010 school year and the Greek government and the Latsis foundation withdrew funding. Football (soccer) is popular in Gjirokastër: the city hosts Luftëtari Gjirokastër, a club founded in 1929. The club has competed in international tournaments and played in the Albanian Superliga until 2006–2007. Currently the team plays in the Albanian First Division. The soccer matches are played in Gjirokastër Stadium, which can hold up to 8,500 spectators.